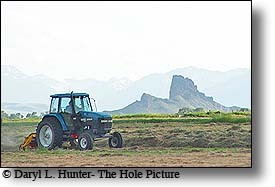 Western Real Estate • (Cody WY) Western Real Estate is a real estate and land company committed to exceptional service. The buying and selling of real estate is complicated. Rely on the best. Rely on Western Real Estate. 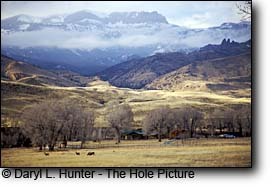 One of Cody Wyoming's stunning ranches that dot the valleys of the eastern slope of the Absoraka Mountains. Cody, Wyoming is the eastern gateway to Yellowstone National Park and it is a small western town with a big city attitude. This part of Wyoming represents the last of the true West. Cody is what America was, a place where the cowboy culture thrives and where the new west begins. 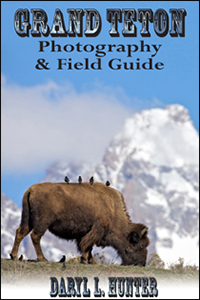 The vistas are spectacular, the land is wild, the people are genuinely friendly and the opportunities for outdoor adventure, recreation, education and entertainment are as large and varied as the Wyoming skies. Farmer flipping over his windrows of hay so they will cure right. Yellowstone National Park and the Absaroka and Beartooth Mountains, Cody Wyoming is surrounded by some of the country’s most scenic country. It is ideal for the outdoor enthusiast—camping, hiking, fishing, boating, hunting, whitewater rafting, mountain biking, golfing, rock and ice climbing, snowmobiling, cross country skiing. Conducting business in Cody is very easy with its many business support services and our “business friendly” City and County governments. Business regulations are minimal and the free enterprise system is allowed to operate as it was intended. In Cody, most everyone is on a first name basis with local political leaders. If you’re searching for the real American West, look no further than Cody, Wyoming. Founded in 1896 by that most authentic representative of the Old West, Col. William F. “Buffalo Bill” Cody, this community of old and new reflects the vision of its founder. The past is always present in Cody. Huntsman Springs • (Teton Valley ID) A Mecca for winter and summer recreation, it continues to top the lists of one of the best places to live in the nation and was recently named as one of the “12 Tempting Locations for Vacation-Home Buyers” by the Wall Street Journal. Set on a magnificent 1,350 acre tract that extends from downtown Driggs, Idaho into open rangelands, Huntsman Springs will consist of 650 home sites, world class golf, family friendly recreation amenities and a 500 acre wildlife refuge. Homes include Park Homes and Mountain View Lodges designed by award winning Jackson Hole architect Larry Berlin as well as custom single family homesites. Clayton Real Estate and Development • (Swan Valley) "Serving - Swan Valley Idaho - Ashton - Mackay - Island Park homes land ranches farms recreation properties" - At Clayton Real Estate and Development, we make every effort to find pieces of land that feature a combination of quality in terms of location and scenic views, along with prices that are below that of other similar properties in the area.&nbsp;We know that if you compare our properties with those in the surrounding areas, you will find that we offer thebest combination of quality and pricing available. Sage Realty Group • (Teton Valley ID) Sage Realty Group is a full-service brokerage that specializes in marketing Teton Valley, Idaho properties. Our experienced staff has successfully participated in the local real estate market for over 15 years. Locally owned, the agents of SRG are committed to Teton Valley and its community. Their success is driven by the relationships they have developed as a trusted source of local real estate knowledge. Meredith Landino, Sotheby's International Realty, Jackson Hole • (Jackson Hole)Meredith (Jackson Hole) has served on the Teton Board of Realtors and is currently Vice President on the Board of the Old Wilson Schoolhouse. She is active in developing the new Jackson Hole Ocean Sailing Team and is deeply in involved in Jackson Hole Youth Hockey and Lacrosse. She is married with 2 boys. Her husband, Marcus Landino, builds hand-hewn, custom log homes. Meredith can be found enjoying Jackson Lake in the summer with her family, and when she can get away, she heads for a tropical destination to hone her sailing skills. Brokers of Jackson Hole • (Jackson Hole) Brokers of Jackson Hole LLC is a new company created and owned by hand picked Jackson Hole Brokers who are proven industry professionals. Each Broker-Owner was chosen based on their demonstrated work ethic, their commitment to excellence and their ethical standards. The Broker-Owners know the real estate brokerage business should be a simple service business providing sellers and buyers with the best no spin market information, proven & effective promotional opportunities and providing contagious enthusiasm for accomplishing client's goals. Stephen J. Cook - Silver Peaks Realty • (Jackson Hole/Teton Valley Idaho) Steven Cook, Sales Associate with Silver Peaks Realty located at 505 South Main Street in Driggs Idaho. 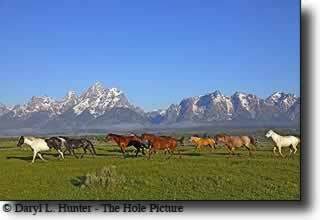 I am a lifelong resident of both Teton Counties of Wyoming and Idaho. This is my home, I grew up here and will probably die here. 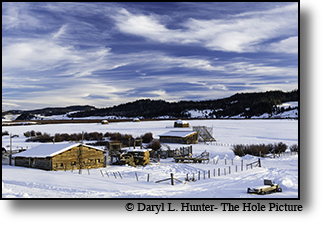 The Teton area communities consist of friendly, honest people ready to lend a helping hand. I am fortunate to live in a beautiful part of the world, a recreational paradise, complete with activities for all seasons. I would be honored to help assist you with your Real Estate needs in our local area. 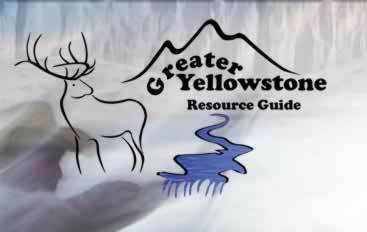 Let me be your resource, I am licensed in both Wyoming and Idaho. Please feel free to email me at steven@DriggsRealty.com or please call me at (208)709-4151. High Mountain Real Estate • (Pinedale WY) The full time REALTORS at High Mountain Real Estate, are building a reputation based on professional, friendly and honest service.They know that buying or selling property can be one of life's most important transactions and their goal is to make your experience a smooth, painless and stress free one, while protecting your rights and interests in the process. Bert Milton Realty • (Dubois) When you choose Bert Milton Realty, Inc. as your real estate office, not only are you choosing a company built on honesty and integrity with sincere emphasis on pleasing the client, you are choosing a well-established company with over 43 years experience in helping clients like yourself buy and sell properties. Our licensed agents can assist you if you are looking to buy, looking to sell, or just plain looking. The company's motto "You know where we live" attests to the company's commitment to both the community and to their clients. ERA Landmark Western Land • (Paradise Valley) Beautiful Paradise Valley, gateway to the north entrance of Yellowstone National Park. Holding a special place in many hearts, this wonderful area is surrounded by the Gallatin Mountains to the west and the breathtaking Absaroka-Beartooth Wilderness to the east. 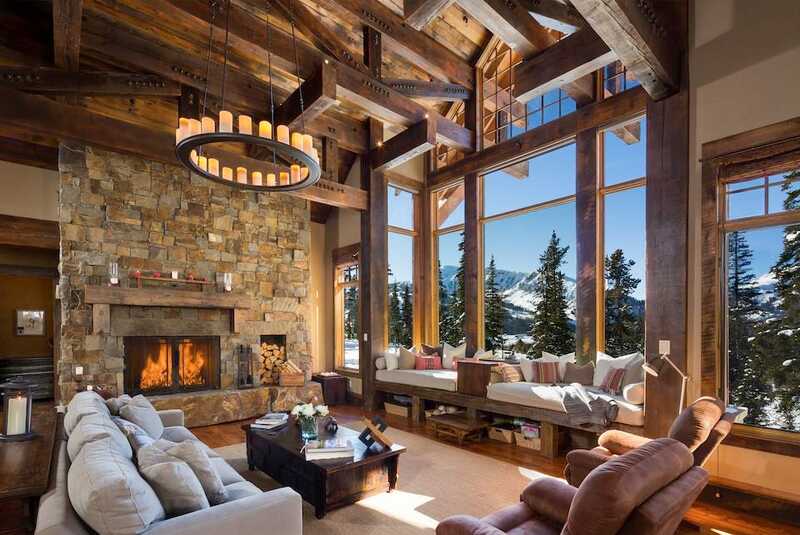 Big Sky Properties • (Big Sky MT) When you are ready to see all Big Sky has to offer for vacation real estate, come see our professional staff. We have more knowledgeable realtors and more more office locations than any other Big Sky agency. 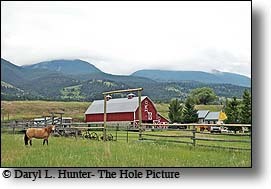 Absaroka Realty • (Bozeman MT) Montana's nickname is "Big Sky Country." Once you've visited, you'll know why. Jagged mountains of granite. Rolling green plains. Crystal-clear lakes and refreshing streams. They are all here in Montana.